Home TV Shows Club De Cuervos Season 5: Renewed Or Cancelled? Club De Cuervos Season 5: Renewed Or Cancelled? Club De Cuervos with its season 4 came to Netflix in late January The Spanish-language series is rumored to be wrapping up with Season 4. And before that, we’ve heard rumors of how it may just stay. There are tons of rumor to address, I mean there was a whole new season pending just last month. So today we’ll discuss everything we know of CDC. Here’s everything you need to know about CDC Season 5. 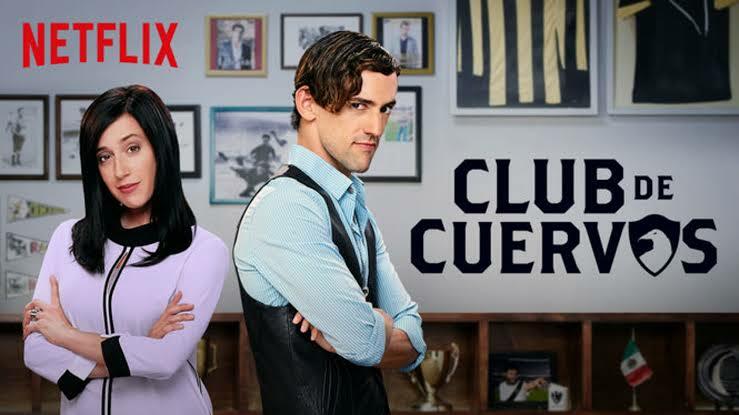 Club De Cuervos is a Mexican soccer drama show, the fourth season of which, arrived back on Netflix. Sadly Season 4 will be the last of it all. Club de Cuervos with the fourth season released on Netflix in a worldwide go, just this a couple of weeks ago. All episodes of the Spanish-language drama dropped on Friday, January 25. Club de Cuervos actually translates to Club of Crows in English. It traces the football club Cuervos FC set in the fictional city of Nuevo Toledo in Mexico. As you may have seen in all the episodes, the following cast was present — Luis Gerardo Méndez as Salvador ‘Chava’ Iglesias Jr, the esteemed president of Cuervos FC. Mariana Treviño was back as Isabel Iglesias-Reina. Stephanie Cayo as Mary Luz Solari. Daniel Giménez Cacho as Felix Domingo. But let’s cut to the chase, with season 4, CDC is over for eternity. It won’t be coming back again unless we hear a surprise announcement. That’s all for now, more as we have it. Previous articleOne Day At A Time Season 4 On Netflix: When Is It Coming Out?